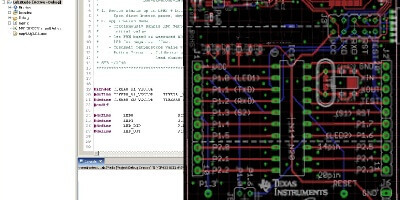 This TI design describes a motor control evaluation kit for spinning 3-phase brushless DC and brushless AC (BLAC) - often referred to as permanent magnet synchronous (PMSM) – motors with example of sensorless Field Oriented / Vector Control (FOC). 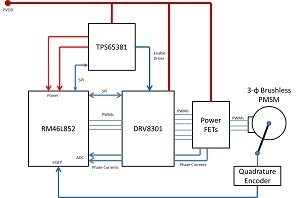 The implementation leverages the DRV8301 gate-driver IC as well as the TPS65381 Power-Management IC. 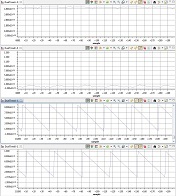 This reference design can be used as a high-performance, power-efficient, cost-effective platform to speed up development of PMSM control algorithms.